Last week, the Federal Communications Commission (Commission) opened a nominating process to select members for a new Disaster Response and Recovery Working Group of the Broadband Deployment Advisory Committee (BDAC). The long bureaucratic name might suggest to some a tedious process of government meetings, argumentation, and report writing geared at creating new rules that broadband service providers will likely find difficult to interpret, let alone implement without breaking their CAPEX budgets. However, in light of the shocking telecom disaster in Puerto Rico last year, which revealed woeful preparedness and lax regulatory oversight, any action from the FCC on disaster response and preparedness should be welcomed. The mission of the new working group is to provide advice and recommendations to the Commission on steps that can be taken to improve disaster preparation, response, and recovery for broadband infrastructure. The same is needed for mobile networks and for optical transport. A good place to start would be Puerto Rico. All five of the island's mobile networks collapsed during Hurricane Maria, the strongest in a century, with understandable 95% cell tower outages in the early hours, but continued 80% outages lasting for weeks. Not only were all backhaul connections foolishly connected by aerial wire on an island with dense vegetation in hurricane alley, there simply were not plans in place to restore even basic SMS to the majority of the population in the first hours when communications are most needed. The situation soon devolved into the worst mobile telecom disaster in history -- 3.4 million people cut off from telecom services. The outage lasted not for minutes or hours or days, but for weeks! The broadband network in Puerto Rico was equally impacted -- nearly a total blackout for cable customers and no restoration for weeks or months. PREPANET, which is the telecom division of the local electric utility, was the leading provider of backhaul service across the island for all of the mobile and broadband operators. Their optical backbone suffered severe damage but the extent of this damage was never clear from the FCC reporting. Some reports claimed water damage disrupted the single point of interconnection between PREPANET's optical backbone and the main cable landing station for the island. What made this record-breaking telecom disaster even more shocking was that it occurred in a territory of the United States, not a developing country or a place torn by war, extreme poverty or served by network operators with limited technical capabilities. Puerto Rico is served by a multitude of top-tier mobile operators: AT&T, Claro (America Movil), T-Mobile, Sprint and Open Mobile. 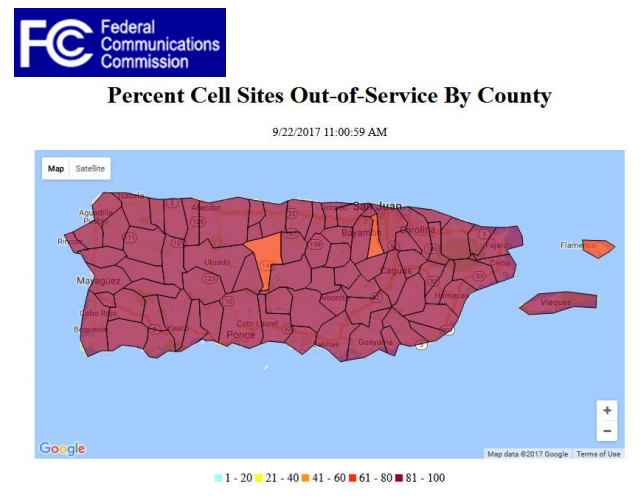 To respond to the disaster in Puerto Rico and the U.S. Virgin Islands, the FCC did set up a Hurricane Recovery Task Force, which produced daily reports on the number of cell sites out of service. However, the Task Force was not capable of procuring equipment and personnel. It did not seem to have any meaningful budget and never imposed deadlines to get things done. Concerning emergency funds, the FCC did allocate $77 million to help restore networks, drawing upon funds that were already designated for universal service support on the island. In March, FCC Chairman Ajit Pai proposed a new $954 million fund for restoring and expanding communications networks in Puerto Rico and the U.S. Virgin Islands. It is not clear if Congress has allocated money for this fund, and whether it would be given as grants or loans to the existing operators. Even more surprising, the FCC never called on the CEOs of the mobile operators and broadband operators in Puerto Rico to explain in a public forum why their networks failed so spectacularly. Nor have we seen assurances that the rebuilt networks are substantially more resilient, or that minimal emergency communications services could be restarted following another disaster. Could we imagine this intensity and duration of Puerto Rico telecom disruption occurring in Boston, Minneapolis, Phoenix, Denver or San Diego? It has been nearly a year since Hurricane Maria, and so far we have yet to hear the key learnings from the worst mobile outage to date. Maybe this new Disaster Response and Recovery Working Group will have something to say. It was not so long ago that Five Nines reliability was an absolute requirement. Samsung Electronics Co.unveiled its 5G modem that is fully compatible with 3GPP Release 15 (5G-NR). The Samsung Exynos Modem 5100 is built on 10-nanometer (nm) process technology and supports both sub-6GHz and mmWave spectrums specified in 3GPP’s 5G standard as well as legacy networks, including 2G GSM/CDMA, 3G WCDMA, TD-SCDMA, HSPA, and 4G LTE. The modem delivers a maximum downlink speed of up to 2-gigabits per second (Gbps) in 5G’s sub-6-gigahertz (GHz) settings and 6Gbps in mmWave settings, which are about 1.7 and five times the data transfer speeds of its predecessor respectively. Fast and stable data communication can also be secured in 4G networks with the downlink speed of 1.6Gbps. Exynos Modem 5100 is also offered with radio frequency IC (RFIC), Envelope Tracking (ET) and power management IC (PMIC) solutions, and will be available to customers by the end of 2018. Samsung said it has already successfully conducted an over-the-air (OTA) 5G-NR data call test under a wireless environment utilizing a 5G base station and 5G end-user equipment prototype embedded with Exynos Modem 5100. Verizon named Indianapolis as its fourth city scheduled to receive 5G residential broadband service in the second half of 2018, joining Houston, Los Angeles and Sacramento. Verizon also announced today that YouTube TV and Apple TV 4K will be included with the initial 5G broadband offering in Sacramento, Los Angeles, Houston and Indianapolis. YouTube TV offers cable-free live TV with over 60 networks, including ABC, CBS, FOX, NBC, plus popular cable networks like TNT, TBS, CNN, ESPN, AMC, and FX, and local sports networks from NBC Sports, FOX Sports, and NESN in select markets. You can watch YouTube TV on any screen - mobile, tablet or computer - and easily stream to your TV with apps built for Roku, Apple TV, Xbox One, Android TVs and Samsung and LG 2016 and 2017 smart TVs; and Chromecast, Chromecast built-in TVs, and AirPlay through Apple TV. YouTube TV includes a cloud DVR, with no storage space limits. Endace and Gigamon announced a technology partnership to provide visibility into network traffic for SecOps, NetOps and DevOps teams. The partnership brings together the EndaceProbe Analytics Platform and the GigaSECURE Security Delivery Platform, which is a packet broker. Endace enables high-speed network recording, traffic playback and analytics hosting. The companies said their joint solution enables customers to accurately record every packet on all segments of their network and decrypt encrypted traffic before it is delivered to hosted analytics applications and recorded by EndaceProbes. 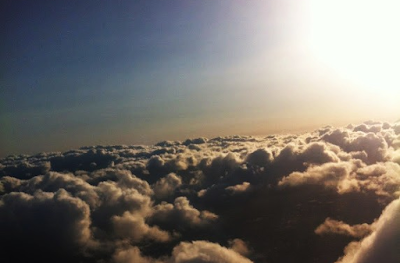 Interxion announced dedicated access to Google Cloud Platform (GCP) across its European footprint through Cloud Connect, Interxion’s multi-cloud interconnection platform. Interxion’s Cloud Connect already provides connectivity to Microsoft Azure, AWS, Oracle Cloud and IBM Cloud. Sprint confirmed that it will offer a 5G smartphone from LG Electronics in the first half of 2019. Sprint recently announced plans to launch its 5G mobile network in Atlanta, Chicago, Dallas, Houston, Kansas City, Los Angeles, New York City, Phoenix and Washington, D.C.
"Sprint is moving fast on the road to 5G and we are thrilled to announce the first 5G smartphone with the innovative team at LG," said Dr. John Saw, Sprint chief technology officer. "LG has done tremendous work developing technical designs that enable us to be among the first movers in mobile 5G. Today's announcement brings us one step closer to putting a beautifully-designed advanced 5G smartphone in our customer's hands. And we're excited to revolutionize the mobile industry as we dramatically improve the way Sprint customers work, play and stay connected." "LG has been working side-by-side with Sprint for nearly 20 years, and we are looking forward to expanding this partnership with 5G," said William Cho, LG Electronics North America President and CEO. Building on LG's legacy of innovation, our teams are enthusiastic about partnering with Sprint's 5G experts to bring next-generation mobile to market in the U.S., while continuing to evolve LG's best-in-class design elements for Sprint customers." Upgraded thousands of macro sites for all three of its spectrum bands (800 MHz, 1.9 GHz and 2.5 GHz). Expanded 2.5 GHz to nearly two-thirds of its macro sites, up from approximately half of sites covered just a few quarters ago. Current has more than 15,000 small cells on-air with its combination of strand mounts and mini macros to expand 2.5 GHz coverage. Deployed approximately 7,000 strand mount 2.5 GHz small cells on cable infrastructure in Q1. Since the quarter ended, efforts have continued to accelerate, and today Sprint has more than 10,000 strand mount small cells deployed. Distributed more than 65,000 2.5 GHz Sprint Magic Boxes to improve indoor data speeds on average by 200%. To date, Sprint has distributed more than 260,000 Sprint Magic Boxes to businesses and homes in more than 200 cities. Announced a new version of the Sprint Magic Box designed for the hospitality industry. Speedtest Intelligence data from Ookla shows Sprint's 4G LTE network is the most improved network in the U.S. with national average download speeds up 30.9 percent year-over-year, more than any other national carrier. In its first quarter of FY18, Sprint continued field testing and optimizing Massive MIMO radios in locations such as Dallas, Los Angeles and New York City. Some sites are now running commercial traffic and the initial performance results are very promising. Today we're seeing a more than 4X increase in speed on these sites, as well as increased coverage and cell edge performance. In the first half of 2019, Sprint plans to launch mobile 5G in nine markets initially – Atlanta, Chicago, Dallas, Houston, Kansas City, Los Angeles, New York City, Phoenix and Washington, D.C.
VIAVI reported net revenue was $264.0 million for its fourth fiscal quarter ended June 30, 2018. GAAP net loss was $(28.8) million, or $(0.13) per share. Non-GAAP net income was $31.7 million, or $0.14 per share. The results include the integration of Cobham's test and measurement group. 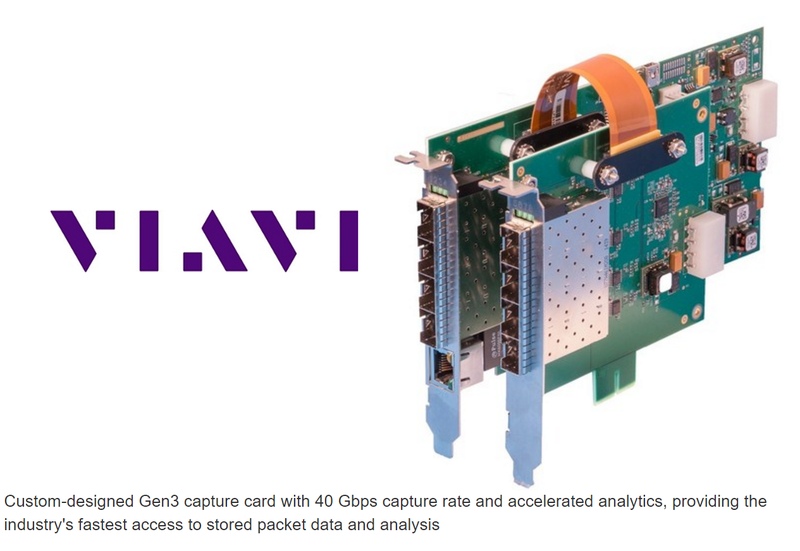 "VIAVI executed well on its strategic priorities in fiscal year 2018. We improved NSE revenue quality, resulting in operating margin expansion, and increased revenue scale with the acquisitions of Trilithic and the recent T&M businesses of Cobham. We also diversified OSP's profit profile with the successful launch of 3D Sensing products. 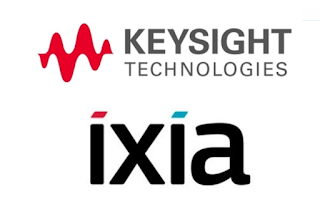 The 3D Sensing revenue is expected to see continued strong growth in fiscal year 2019," said Oleg Khaykin, VIAVI's President and Chief Executive Officer. 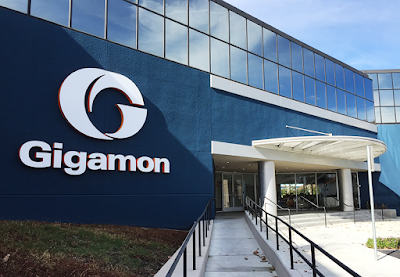 "Q4 had a strong finish as revenue, non-GAAP operating margin and EPS exceeded the midpoint guidance range." Khaykin added, "Looking ahead to fiscal 2019, we are optimistic on several macro industry trends that is expected to further drive revenue and profitability growth for VIAVI through increased Fiber-to-the-Home deployment, 5G wireless deployment and further adoption of 3D Sensing on mobile devices." Georgia Tech has established a Microsoft Azure ExpressRoute circuit in partnership with Internet 2. A blog posting by Adam Smith, IT Service Delivery Lead, Georgia Tech discusses the challenges of turning up the Azure service while incorporating external private address space, routing issues, and cloud network architecture. Internet2 is the advanced technology community founded by the leading higher education institutions in the U.S.
Servato, a start-up based in New Orleans, introduced its Smart Power System solutions suite for remote battery management. Servato supplies its active battery management solutions to telecom, power, transportation, and solar companies. The SPS-R is a unified rectifier power and battery manage solution that integrates the functionality of Servato’s SPS-248 battery management system with GE’s Rectifier Modules. 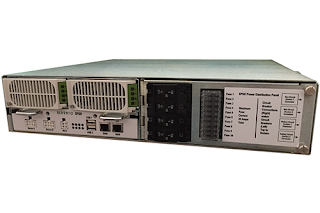 Servato said it is taking remote power management to the next level to offer the combined value of battery management systems with a highly power efficient rectifier solution from GE. Ixia announced a new feature for its CloudLens platform that provides visibility into East-West traffic without requiring hypervisor access. An administrator can virtually tap (vTap) or capture, filter and forward a copy network traffic directly to either tools or a network packet broker. The new Cloud Sensor vTap enables organizations to better manage their security risk in private and hybrid cloud environments, such as Microsoft Azure Stack.